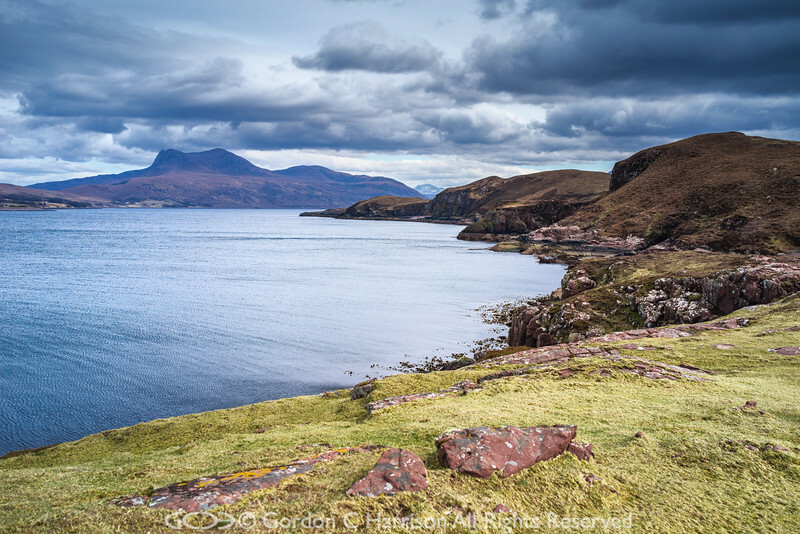 The Stattic Point peninsula juts out into the entrance to Little Loch Broom to reveal a spectacular coastline. Also revealed on reaching Stattic Point is the volcano like mountain which dominates the opposite shore, Beinn Ghobhlach. This point can be reached by starting at Mungasdale on the eastern shore of Gruinard Bay and following the coast in a roughly NW direction. The walk to Stattic Point along this coast is also rewarding with fine views of Gruinard Island and the Summer Isles dominating the scene.